Henderson Garage Door Supercentre supplies Henderson and other Premier Quality Garage Doors for a wide range of applications from our state of the art showroom in Chester. Our entire range of garage doors are custom fitted by our professional staff – all trusted and employed by Henderson and all of which have been vetted by Cheshire Constabulary. We operate throughout Chester, Cheshire, North Wales, Wirral, Merseyside, Manchester, North Staffordshire and North Shropshire. Speak to one of our experts for help and advice. 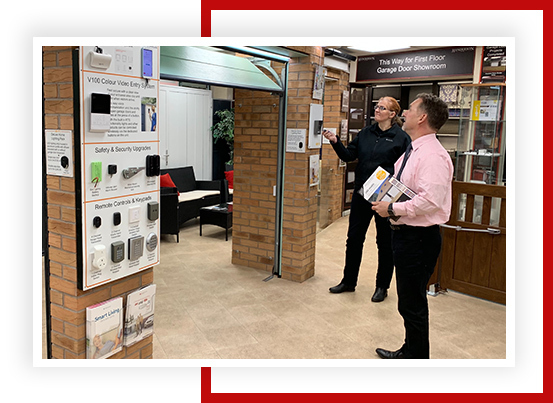 With vast experience and a huge variety of garage doors, gates, car ports and security products to choose from, the Henderson team are on hand to provide their expert opinion on the ideal solution for your home. We will consider the overall aesthetic of your property, your requirements and your budget, ultimately ensuring that our product perfectly fits your needs.